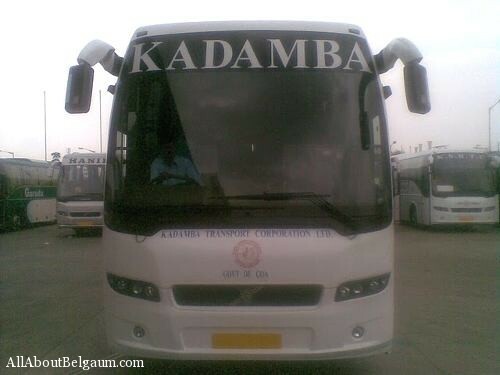 Kadamba Transport Corporation Ltd. Goa will start a Volvo bus on the Margao-Belgaum route from May 15. The non-stop bus will leave from Margao at 7 am and depart from Belgaum to Goa at 4 pm everyday. Tickets for the luxury non-stop bus can be booked online at http://www.goakadamba.com/. Another non-stop KTC bus service between Margao and Belgaum was also launched.